With the 1-way video and 2-way audio feature you can see who is at your door and speak to them anywhere you have Wi-Fi. Altro smart uses Bluetooth to sense your presence and lock and unlock your door, without needing to remove your phone from your pocket or purse. Built in Wi-Fi connects to your home network and enables you to remotely monitor, lock and unlock, access your security settings, and receive notifications. 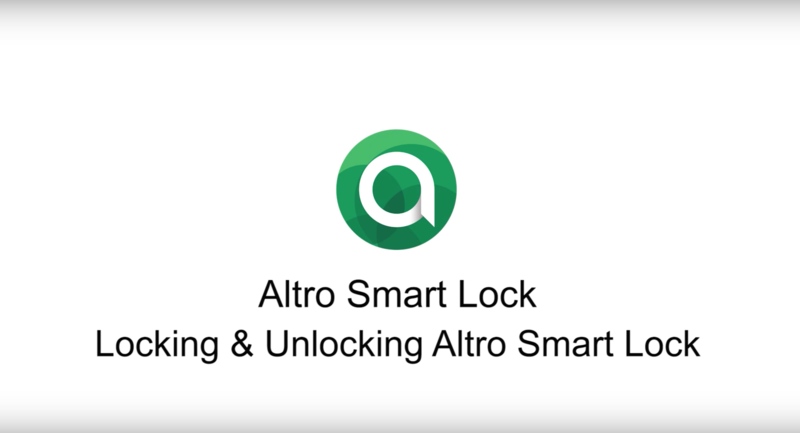 The keyless auto lock and unlock feature makes Altro Smart the truly next-generation smart lock which provides added security. Provide and share passcodes with friends and family from the Altro Smart app. You can set permanent or temporary access by adding your invitee to your list and designating their permissions. The multi-platform mobile app gives you the freedom to access Altro Smart from any of your smart devices. Altro Smart monitors your doors status and will instantly notify you if it detects movement in front of your door, if your door opens or closes, or if anyone tries to tamper with your door or lock. The Altro Smart app also allows you to control and monitor your door in real-time and review all of the activity captured by your Altro Smart Lock. Rechargeable batteries continuously run Altro Smart for 6 months on a single charge. Easily recharge the battery using connector cable and USB port. Video is encrypted and stored in the cloud. Altro Smart is compatible with Google Home, Alexa, and Siri. Will Altro Smart work on my door? Altro Smart works with most standard doors. 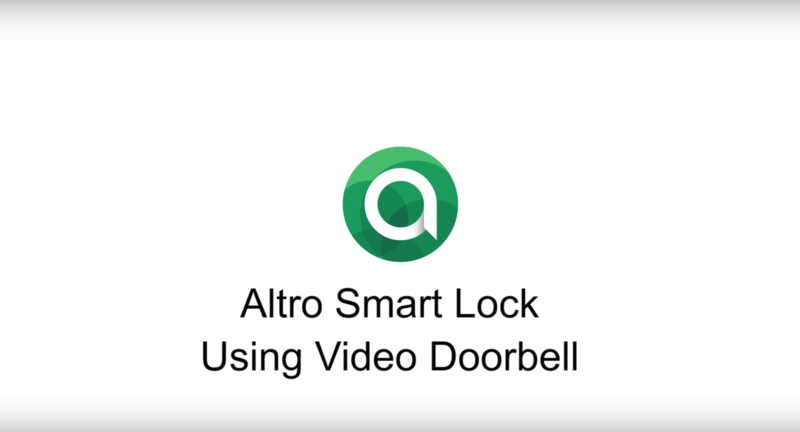 Since the Altro Smart lock is a complete replacement instead of an add-on device, it can be fitted on to most doors if the user follows the provided instructions. Do I need to buy anything else to make Altro Smart work? Altro Smart comes with everything you need, including the video door lock, knob unit, screws, mounting plate and latch. Do I need any special tools to install Altro Smart? Altro Smart is easy to install yourself. All you need to install Altro Smart is a phillips head screwdriver. Is Altro Smart wired or battery powered? Altro Smart is battery powered, and comes with a rechargeable battery and a connector cable to make recharging easy. You will be notified through the Altro Smart mobile app, installed on your phone, every time someone is at the front door. It will even take a photo of everyone at your door, so you can always know who has visited. 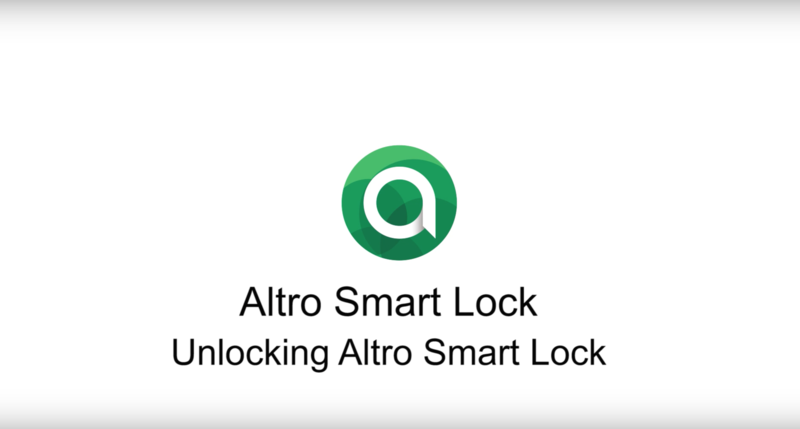 Can Altro Smart automatically lock and unlock itself? Yes, Altro Smart will automatically lock and unlock itself by connecting with your Altro Smart app via Bluetooth. What are the technical specifications and waterproofing? Altro Smart works on BLE and Wi-Fi connections. The device is IP65 rated and its weather-resistant design prevents damage by rain, snow, heat or cold. Can I install Altro Smart myself? Yes, Altro Smart is easy to install yourself. All you will need is a phillips screwdriver and a few minutes. 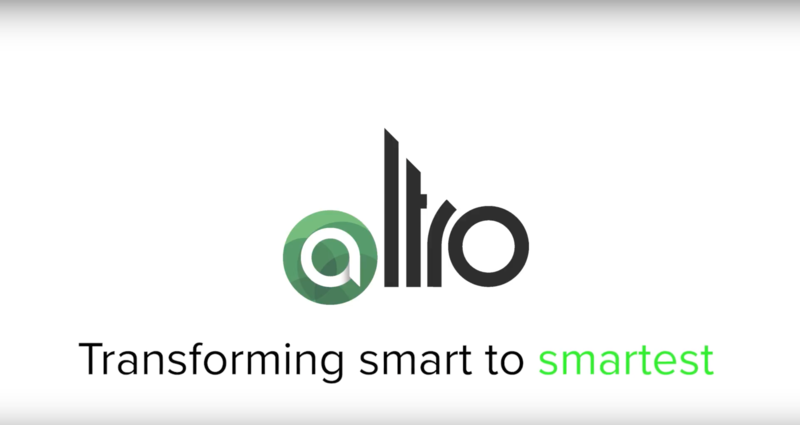 A unique passcode is randomly generated for every user when they register or create an account on the Altro Smart mobile app. Users can regenerate this passcode whenever they want by going to the Altro Smart app and selecting the ‘Regenerate Pin’ option in settings. What if my power goes out or my WiFi is down? 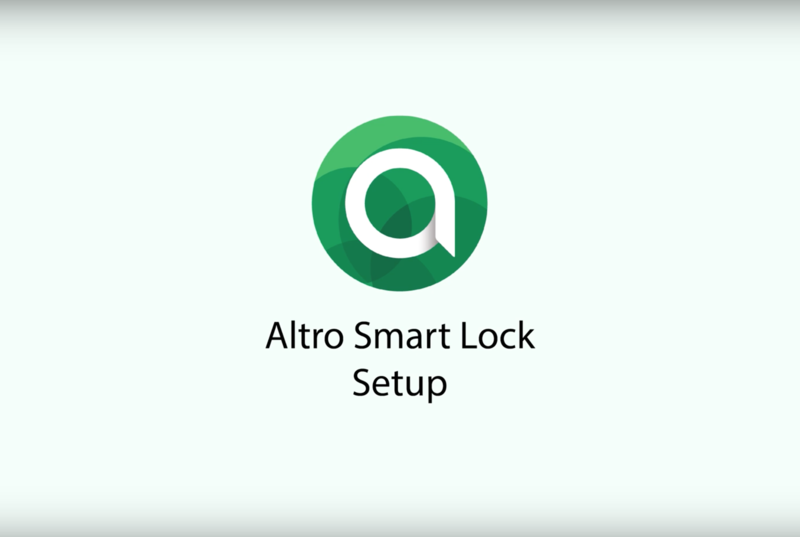 The Altro Smart lock works on rechargeable batteries, which power the device for 1 to 2 months of continuous usage (estimated as per tests done in lab environment). If the Wi-Fi is not working, the smart lock will not support remote activities. In this situation, the smart lock will lock and unlock over the BLE connection and/or by using the smart keypad and your unique passcode. In case of emergency, the Altro Smart Lock comes equipped with a traditional key and keyhole. Do I still need keys? Altro Smart will eliminate your need for keys. 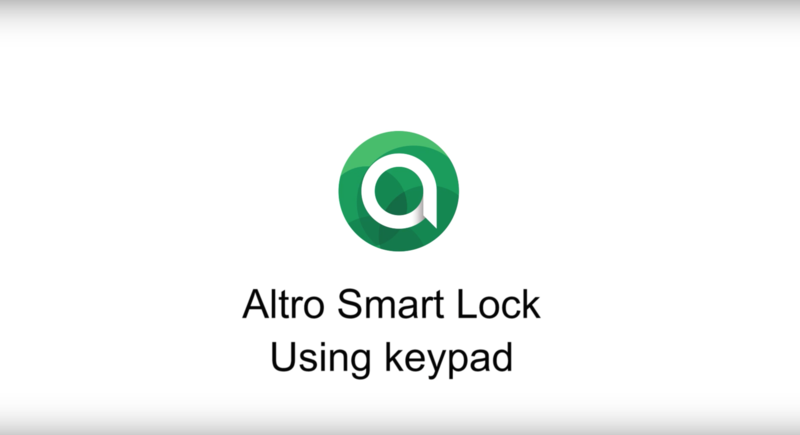 Your phone and the smart keypad will unlock your Altro Smart device. In case of emergency, the Altro Smart Lock comes equipped with a traditional key and keyhole. What do I do if the battery runs out - how do I open the door? Charge the battery by plugging a power bank/compatible power source with a USB cable to the USB port, at the bottom of Altro Smart outer unit. This will charge the battery pack enough to unlock your door using BLE access. In case of emergency, the Altro Smart Lock comes equipped with a traditional key and keyhole. 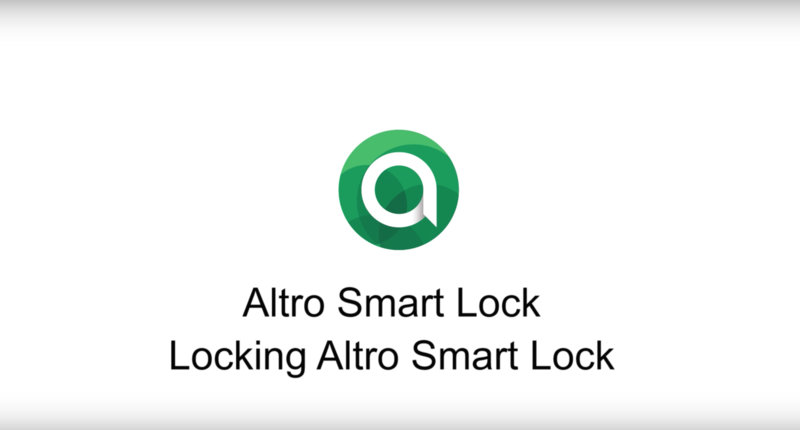 How many owners and guests can be added to Altro Smart lock? 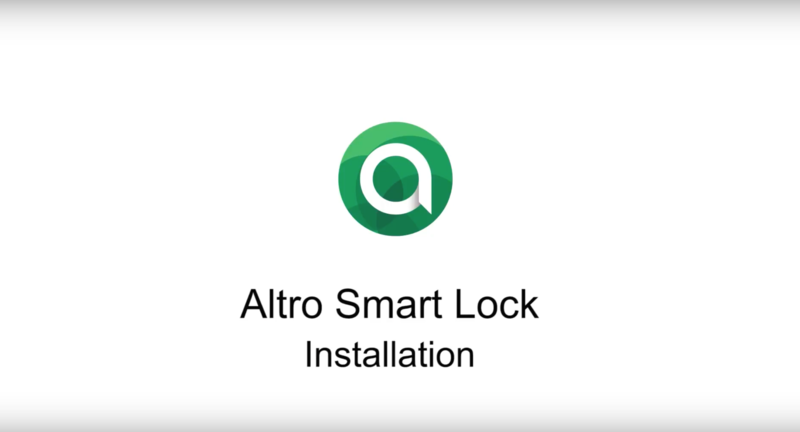 You can add an unlimited number of owners and guests to the Altro Smart lock.